For women who want a treatment to decrease the five kinds of the dryness and wrinkles around the eyes. The promise of a youthful look without dryness or wrinkles! 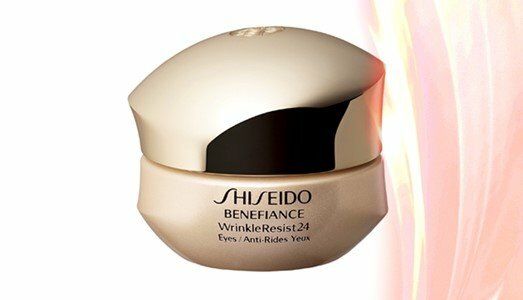 A rich cream anti aging, which improves existing wrinkles and prevents the formation of future wrinkles and hydrates intensely. Using this product you will realize that all types of wrinkles are decreased, the wrinkle resistance is increased, the strength and firmness are improved and the skin is filled out and smoothed. The hydration lasts all day, even in extremely dry conditions. Also strengthens the muscles to energize cellular activity, to improve elasticity and firmness. Gently apply on the eye contour as last step of the daily routine. Total Luxury spirit for skin that has been in this line concept, stimulates all five senses and returns the youth to the skin, surrounded by a comforting fragrance and perfect textures. The products are developed thinking about problems such as: wrinkles, dryness and damage induced by the environment. Discover the art of historical Japanese skincare with a lesson in layering, the secret of perfect skin!